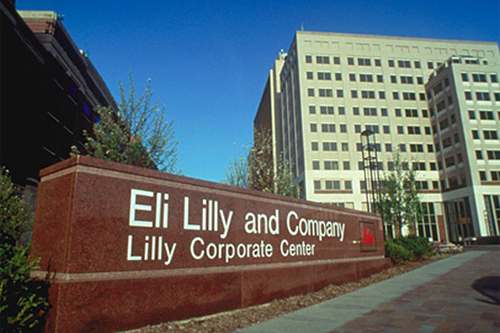 One of Eli Lilly's key pipeline drugs will be tested alongside an early stage candidate from Boehringer Ingelheim in a hard-to-treat form of breast cancer. The early-stage trial will combine Lilly's CDK 4/6 inhibitor abemaciclib - a drug in the same class as Pfizer's fast-growing Ibrance (palbociclib) drug - with Boehringer's BI 836845, an antibody which targets insulin-like growth factor (IGF) types 1 and 2. The two drugs will be tested in patients with advanced breast cancer which tests positive for hormone receptors but negative for the HER2 receptor targeted by treatments such as Roche's Herceptin (trastuzumab). Around two thirds of breast cancer cases fall into this category. Boehringer's drug candidate has advanced to the phase II testing stage and is thought to work by blocking signalling pathways that encourage the growth of tumour cells. "The rationale for the collaboration is based upon the hypothesis that these two agents, in combination, could offer more complete pathway interference and could potentially prolong cell cycle arrest," said the two companies in a statement. BI 836845 is one of the drugs that has emerged from the company's long-standing antibody collaboration with MorphoSys, and is also being tested in combination with Novartis' Femara (exemestane) and Afinitor/Votubia (everolimus), currently one of the most commonly-used treatment combinations for HR+/HER2- breast cancer. Ibrance has been romping away since launch - with sales reaching $723m last year after a launch in the first quarter - and it has been tipped to change the way HR+/HER2- breast cancer is treated now it has claim approval as a first-line therapy for this patient population. The drug is already on course for blockbuster status, with revenues reaching $429m in the first quarter of 2016, and Lilly is hoping its candidate can grab a slice of what looks set to be a very large market. The company says it potentially has a 'best-in-class' candidate thanks to abemaciclib's relative potencies against CDK 4 and CDK 6, the ability to dose the drug continuously and 'robust' activity in single-agent trials. Lilly is vying for second place in the CDK 4/6 inhibitor category with Novartis, which recently halted a trial of its ribociclib candidate early after it showed clear efficacy in a phase III trial. All three companies are trying to find ways to differentiate their candidates, including testing them in combination with other anticancer therapies.